The latest news from the Hopkinsons. On our journey serving with Helimission. Born in St.Albans England, I went to The Kings School in Harpenden and then to Oaklands College in St.Albans. I studied media and IT for 3 years. After college I decided to do a year out. Since I am a Christian I wanted to do something for God. Not being sure of what to do I looked through the YWAM (Youth With A Mission) Go manual looking for different locations to do a DTS (Discipleship Training School). This didn't help as I was just overwhelmed at the different options. I then went to church and talked to a long term YWAMer. He recommended Mercy Ships. This is a ship based ministry which runs a number of hospital ships. He said that it is one of the best DTS's since all the good speakers enjoy going to the ship. So on that note I looked into Mercy Ships further and decided to go for it. In October 1999 I boarded the Mercy Ship Anastasis which was in South Africa at the time. I then spent the next 3 months learning more about God. The last 2 months was outreach which we then went out and applied what we had learnt. I went to the DTS expecting God would show me what he wants me to do with my life. But came away realising that God had different things in store. This was especially evident in my outreach, I was on the Cape Town team. We went with the expectation that we would be doing dramas and puppets etc.. But ended up having a prayer meeting everyday from 9am till 12pm. The outcome from DTS was that God wanted us to spend more time in prayer rather than going out and doing what we thought was Gods will. After my DTS I wanted to carry on what I had learnt, but didn't want to fall back in old patterns. I decided to join Mercy Ships full time. I went to The Mercy Ships headquarters in Texas and spent 2 1/2 months working in the media department on the intranet. That was the first time I met Anisha. She was doing her DTS while I was there working. I only saw her once and she had very short hair and I didn't think twice about her. Once I had joined the ship I worked in the IT Department and then part time in the Communications doing video. Anisha joined the ship not long after me and we began to get to know each other. This came to the point at Easter 2001 when we stared going out. I then proposed to her on Jan 4th 2002. Once our 2 year commitment to Mercy Ships was over we traveled to St. Albans to plan the England wedding/blessing ceremony. Then off to the states for the proper wedding in Chicago. We married on October 5th and were 'blessed' on November 2nd. We then worked and lived in St.Albans for 2 years to just 'be married'. I worked in an accountants providing IT support an Anisha worked as a foster kids to work program cordinator. We now are on our way to Southeast Asia. Life began for me in May of 1981. I was the first of four children and the only girl. Born in Texas, USA, I fully expected to live there forever until in 1996 my family moved about 1000 miles north and settled in Chicago. I was now a yank. I graduated highschool and longed to move out into an appartment with my bestfriend. 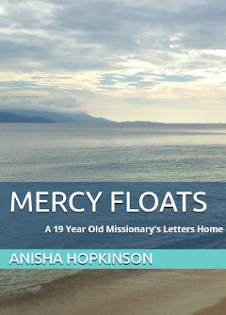 Instead, life took a dramatic turn and I left for Mercy Ships. I went back to Texas for my DTS. It was strange being back, nothing was how I remembered it. The buildings were in the same places and old friends still lived in the same houses. But I felt like a foreinger. I left for Guatemala for an 8 week outreach. It was the most trying time of my life. Despite it all I felt more alive that ever. So I joined Mercy Ships as full time staff and left for the M/V Anastasis in Holland. I was to sail to Africa. A dream I never thought could be reality. On the ship I fell in love with Ben. I had told my parents before leaving that they need not worry because I had no intentions of dating on board. I must not have been very convincing, they later said they suspected I may very well find a husband onboard. I shall let them have their "I told you so". Through everything God has been ever present. A faithful friend. I would have collapsed along the way, refused to do what I was asked, or just gone home and quit if it wasn't for the steady friendship of my Savior. We are serving with Helimission using helicopters to support missionaries working in hard to reach locations. Loving your enemies is so easy to do.....until you actually have to DO it.